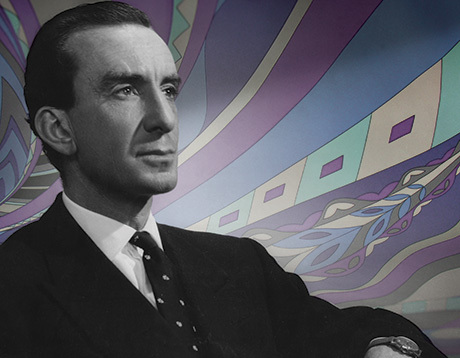 Emilio Pucci, MA ’37, a world-famous designer whose creations were worn by Jacqueline Kennedy and Grace Kelly, died November 29, 1992, of an apparent heart attack in a hospital in Florence, Italy. Pucci’s bold colors and sweeping lines shattered previous notions of design, making him an icon of the psychedelic movement. In addition to his impact on the world of fashion, he also played a role in a striking episode of spycraft in WWII—helping to smuggle the secret diaries of Galeazzo Ciano, Italy's foreign minister, to the Allies. He was later involved in politics and was elected to the Italian paliament in 1963. The son of the Marquis of Barsento, a member of one of Florence's oldest families, Pucci inherited his father's title and a 1,000-year-old palazzo that was his home. A man of elegant bearing, fluent in five languages, he was an aristocrat whose self-taught artistic talent earned him the nickname divino marchese, the divine marquis, for his heavenly creations. He was educated in Milan and Florence but felt stifled by the snobbish conventions of the Italian aristocracy and bored by his classes at the University of Milan. In 1935, he traveled halfway around the world and enrolled at the University of Georgia, where he studied cotton agriculture. But the environment didn’t provide the intellectual inspiration he was looking for. Worse, he found himself cut off from his family’s bank accounts as a result of the growing chaos in Europe. 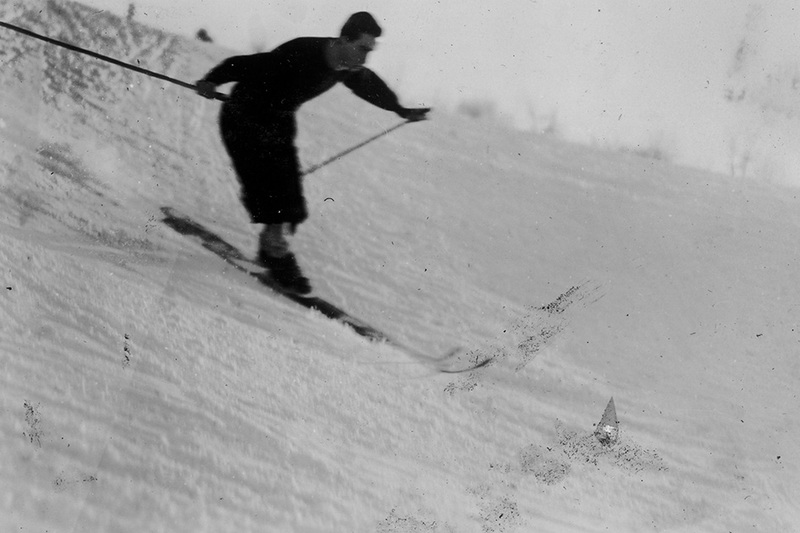 He sought refuge in skiing and went on a trip to the slopes of Mount Hood. On his way back, he stopped at the office of Dexter Keezer [president 1934–42] in September 1936 to ask for help. Emilio’s problem was simple. Despite his aristocratic pedigree, he lacked ready funds for his education due to Italian exchange restrictions stemming from its war with Ethiopia. He wanted to study at Reed because he had been told it was “a very good college.” Moreover, he said, he wanted to see if he could make his own way in the U.S. after being forbidden even to take a walk alone for years in Italy, where a servant accompanied him everywhere. Pucci's intricate, colorful later designs captured the psychedelic style of the ’60s and were immensely popular. He was also one of the first designers, with Pierre Cardin, to attach his name to a line of products that included perfumes, shoes, and eyeglasses, and his status-symbol belts, scarves, handbags, and shirts sold briskly in world capitals. Over the years, Pucci visited Reed several times. In 1957 and 1978, he staged fashion shows in Portland as benefits for the college; the 1957 show benefiting the Portland Art Museum as well as Reed. He took part in Reed's 75th anniversary celebration in Portland in 1987 and designed a Reed t-shirt for the event. Survivors include his wife, Cristina; a daughter, Laudomia, who will continue heading the fashion house, and a son, Alessandro. 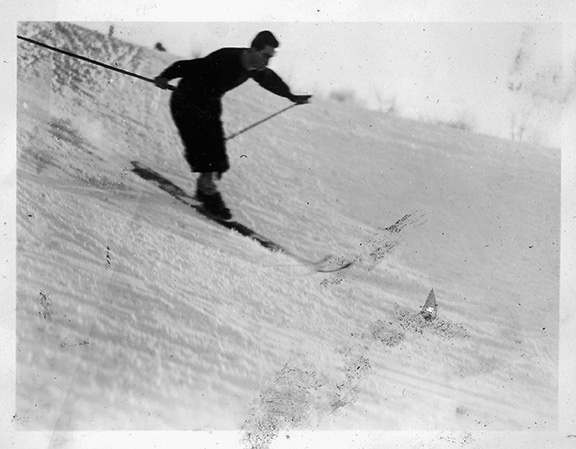 Emilio Pucci MA ’37 on the slopes of Mount Hood in 1937.